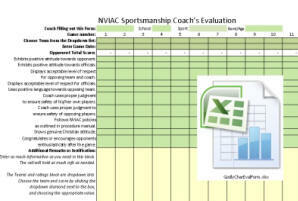 This spreadsheet (Excel 97-2003 and 2007) provides a tool for coaches to evaluate their opponents after each game. 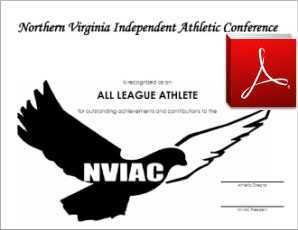 At the end of the season, the summary scores should provide a help in evaluating the team that showed the Best Christ-like Character Award. 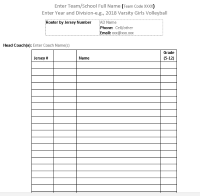 The form has a drop down to choose the opponent and date for every game played. It also shows the total score for every opponent. 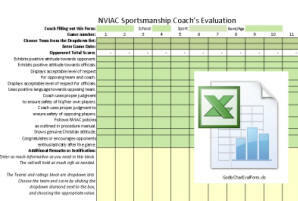 Save the spreadsheet to your computer and create a separate form for each coach for each season.